Looking for a fun fall activity for your little goblins? Try Mask Doodle! Mask Doodle lets kids create, decorate and print custom masks. Choose a mask from over 60 different styles. Then, customize it with a variety of eyes, noses and mouths. Next, decorate it with paints, patterns, text and fun jazz. When the perfect mask has been created, print it out and used it for imaginary play. Paints and patterns can be applied with a unique collection of brushes, including a toothbrush, slingshot, squeeze bottle, marble, straw, eye dropper, and bubbles. Jazz up your creation with feathers, bells, rhinestones, facial hair, crazy eye balls, and flowers. 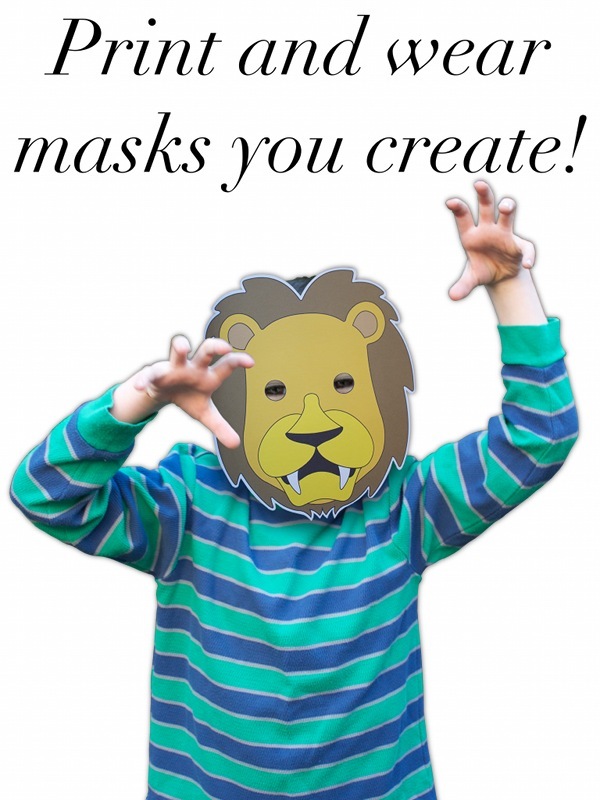 When you print the mask out on card stock, it can fitted with a piece of elastic to allow your child to wear it and become the character he or she has created. Design the perfect mask with Mask Doodle!